Yesterday it was finally warm enough to wear just a rain coat and a knitted sweater. I am very happy to welcome this timeless jacket in to my wardrobe, it is perfect in every way. The colour, the cut and the fabric. It think this is something I’ll be wearing for the rest of my life. Coat, Shutterheim. Sweater and trousers, Lisa Yang. Shoes, Filippa K.
Emma Elwin has found a stoller made off organic materials and with IVN- and GOTS certifications. I have to admit that it feels super weird to have a stroller just standing waiting for a baby in the living room. I feel like I am five years old playing family. But I am very happy to have found one that checks off all of my criterions. The last few months I have been reading a lot about toxics in our everyday products. Toxics that might not be necessary in my opinion. After reading a lot about plastic, flame retardants and impregnating agent in strollers I started searching for a stroller that was somehow more environmental consciousness for both nature and our baby’s well being. The research payed off and I found this one online. This is a IVN- and GOTS certificated stroller from the brand Naturkind. 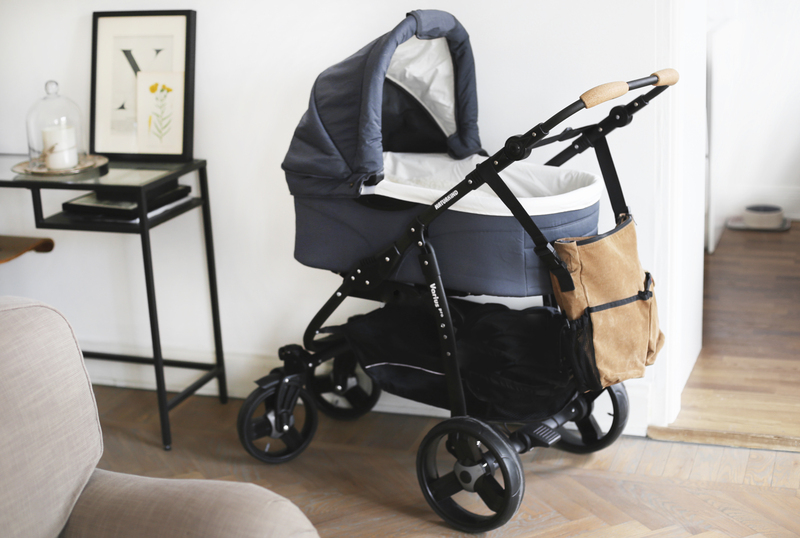 The stroller is made of organic cotton, organic sheep’s wool, coco-latex, wood, cork and non phthalates plastic. Since I haven’t been using it properly yet (if you don’t count driving around the soffa in living room with Stella as test pilot) I can not give you guys a full review just yet. But! As soon as I have been trying it with an actually baby for a few months I’ll give you a proper review. Stroller, Naturkind. Diaper bag found at Tradera. Jacket, Acne Studios. Shoes, Miu Miu. Here are two of my favorites on Tradera Trend today! They are, in my opinion, two perfect timeless investments pieces for spring. This weeks guest seller is our dear friend Columbine Smille, find all the things she is selling here!